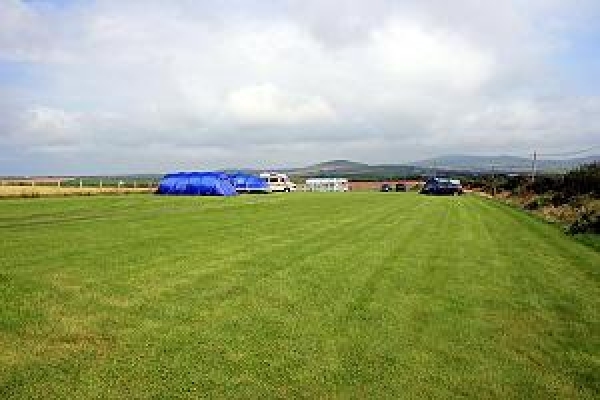 Situated on a working Cattle farm on the Llyn Peninsula abd about 0.5 miles from Aberdaron. A Level site with views avccross the Llyn peninsul, Anelog Mountain and Aberdaron Bay. Near Aberdaron - a sandy composition 1.5 miles away. Near Abersoch - a sandy composition 2.7 miles away.